Once again, CBD is making headlines as an effective alternative to traditional prescription drugs. This week, the Brightfield Group, an independent marketing research firm, released their summary findings from a joint research study with HelloMD. 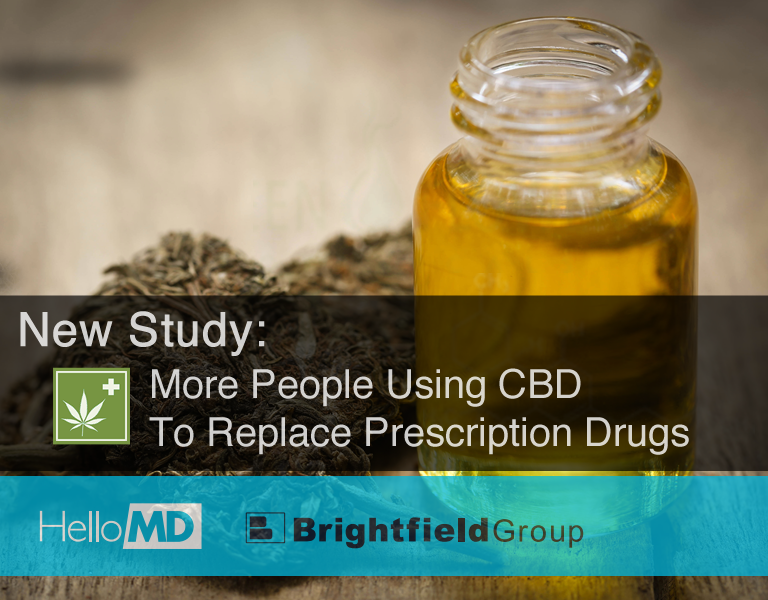 The study was conducted using a sample of 2400 HelloMD participants and was aimed at better understanding the CBD market, its users, product varieties and growth potential. 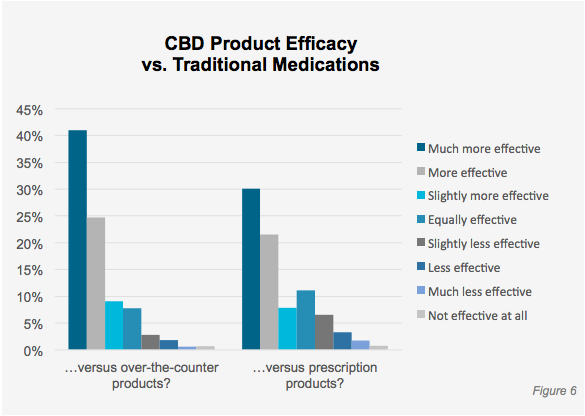 69% of respondents rated hemp-derived CBD products to be “more effective” or “much more effective” in treating various illnesses and conditions than traditional over-the-counter (OTC) pharmaceuticals. 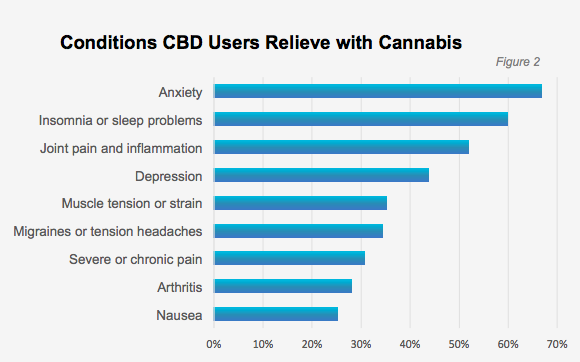 In comparing CBD to prescription drugs, approximately 52% of this consumer group indicated that CBD products are either “more effective” or “much more effective” in relieving medical conditions than are prescription medications. Scientific and clinical research—much of it sponsored by the US government—underscores CBD’s potential as a treatment for a wide range of conditions, including anxiety, chronic pain, arthritis, MS, autism, Parkinson’s, PTSD, depression, ADHD, sleep disorders, epilepsy, and other neurological disorders. Cannabidiol or CBD, is one of 85 cannabinoids found in the cannabis plant that is being used effectively to treat a number of medical conditions. CBD is extracted from either the marijuana plant (marijuana-derived) or the hemp plant (hemp-derived). Marijuana and hemp are both classified as cannabis sativa l. and share an almost identical chemical framework. The difference between the two cannabis plants are slight but very significant. Marijuana is abundant in THC, the cannabinoid responsible for the marijuana high. Hemp, contains very little to no THC.  The study explains, one of the major forces driving the current CBD craze is that consumers want the health benefits of cannabis but don’t want to be “stoned”. Hemp-derived CBD does not produce a “high-effect” and is legal in all 50 states. Marijuana remains illegal at the Federal level despite having been legalized in many states for medicinal purposes.